Decompression Procedures / Tec 45 is the next step to advance your technical dive training and skills. 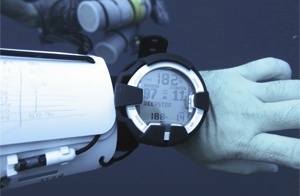 In this course you will start diving beyond recreational limits down to 150ft/45m, using a decompression cylinder with up to 100% oxygen for accelerated decompression. To safely plan your decompression dives we will teach you about the latest decompression algorithms and software programs to make sure the student is well aware of the mandatory problem solving skills that follow in your training dives. The course is set over 3 days and prior to staring you can choose between TDI & PADI, though the courses are very similar there are slight differences in the Standards / Prereqs. Often this course is combined with Extended Range / Tec 50.